For Erica Sanders, finding a soul mate was easy. Brian Lawson is the man she wants and everyone agrees they're the ideal couple. The one exception is Erica's mother. She even hires a private detective to investigate Brian, but the truth he uncovers is the last thing she expected--a devastating betrayal that rips both families apart. Convinced her relationship can't be salvaged, Erica ends her engagement. Yet she has lingering doubts over her choice. A chance meeting proves the passion between Brian and Erica hasn't dimmed--but neither has the determination of others to keep them apart. As secrets are revealed, Erica and Brian find themselves caught between the bonds of the past and an uncertain future. 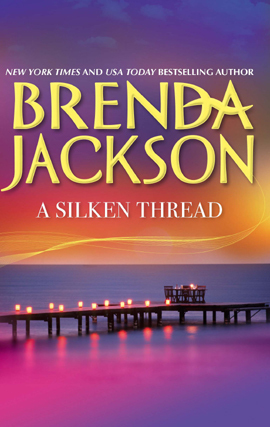 Masterfully told with the sensuality and drama that Brenda Jackson does best, this is an unforgettable story of relationships at their most complex, and how hard it can be to choose between living separate lives or holding fast when love hangs by a silken thread.